Type The Book Title Into The Search. Everyone of us, I would think, hopes to have a nest egg of some sort. 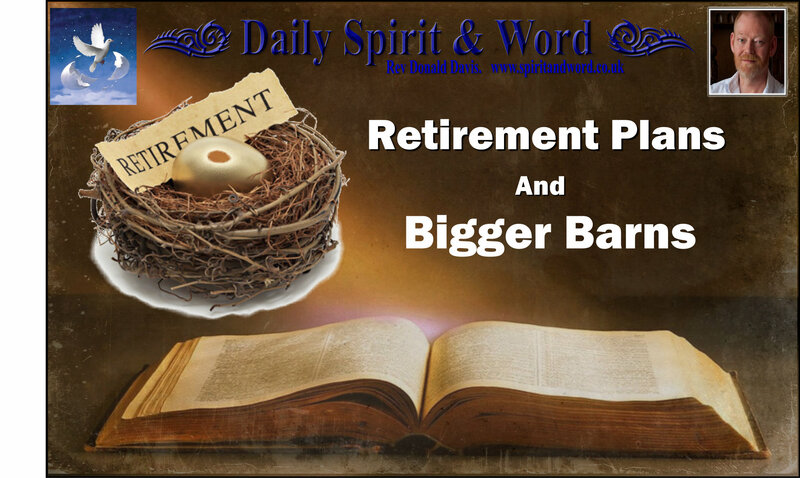 Some, who have invested significantly toward their golden years, may actually have far more than a nest egg. As we continue our journey back to the future in pursuit of rock-solid living in a quicksand world, I am wondering how to have a solid footing that will last. I am wondering about the location of our bank where we are investing for our retirement years. 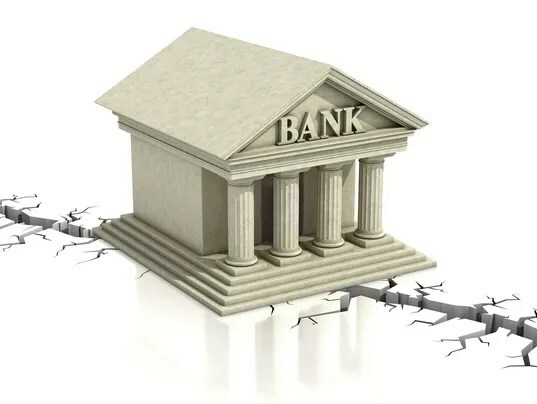 Is it a bank on Earth Street? Or is it a bank located on Heavenly Parkway? Now, there is nothing wrong with being successful. Every human being has a right to prosper; however, what did this guy do with his prosperity? I guess I should ask what he didn’t do. He did not acknowledge God and give back to the one who made his abundance possible. He did not donate to charity. It simply was not in the forefront of his gray matter. He was all about himself. He also did not consider that his assumption that he would live on and on was pure nonsense founded upon a quicksand philosophy: no one lives on indefinitely, and everyone will have to say goodbye to this world. While this man was building bigger and still bigger barns for storage, the lights went out. God told him, “Your time is up, foolish man! You are dead!” Sadly, all that he worked for and that gave his life definition failed him miserably. Once he died, there was nothing left for him. Once he died, as with all of us, whatever he owned went to other people for their enjoyment. So he still wound up helping people, but he did not get to enjoy seeing them benefit. This is what happens when we locate our bank on Earth Street using earth-street values. And while this man ignored God and gave God no reverence on earth, he would now stand before God and give an account of his life. He had a divine appointment. Or as the Hebrew writer says, “It is appointed unto man once to die. Then comes the judgment” (Hebrews 9:27). Besides all this, if the produce had stayed too long in those rustic storehouses, moths could have corrupted it. In time, decay would have set in. A thief could have broken in and stolen it or destroyed it. This doesn’t sound like a good plan at all. Here are a couple of questions: How do you store up treasures in heaven? How do you send those treasures on ahead? As a Christ follower, how do you live so that there is clear evidence, at judgment, that you are truly on a rock-solid footing? The best way I can answer these questions revolves around an eternal stage and Jesus pronouncing judgment. One group of people, it turns out, had a really good experience when standing before the Savior—the other group…not so much. Listen to what Jesus tells us in this very important story in Matthew 25:31–46. On the stage is a scene where Jesus judges all the nations, and that judgment I mentioned earlier is surely taking place. It seems there are two groups. One group did not seem to take following Christ seriously. This would be the goat herd that He mentions in the story. The other group appears to very clearly be Christ followers or sheep of the Good Shepherd’s flock. One group did not seem to be centered on the things of Christ or on caring for others. Members of other group very clearly demonstrated love for Christ by how they treated people. Then the King will say to those on His right, “Come, you who are blessed by my Father; take your inheritance, the kingdom prepared for you since the creation of the world. For I was hungry and you gave Me something to eat, I was thirsty and you gave Me something to drink, I was a stranger and you invited Me in, I needed clothes and you clothed Me, I was sick and you looked after Me, I was in prison and you came to visit Me.” Then the righteous will answer Him, “Lord, when did we see you hungry and feed you, or thirsty and give you something to drink? When did we see you a stranger and invite you in, or needing clothes and clothe you? When did we see you sick or in prison and go to visit you?” The King will reply, “Truly I tell you, whatever you did for one of the least of these brothers and sisters of mine, you did for Me. Now to begin to answer our questions: How did these folks “lay up treasures for themselves in heaven”? Jesus told His listeners that these folks did six things for Him that demonstrated that they followed Him; therefore, they were judged favorably and received their eternal inheritance. 1. I was hungry. You gave Me food. 2. I was thirsty. You gave Me drink. 3. I was a stranger. You invited Me in. 4. I needed clothes. You gave Me clothes. 5. I was sick. You visited. 6. I was in prison. You visited Me. Now this caught those who followed Christ off guard. They had made Jesus the Lord of their lives, and He had transformed them. The two greatest commandments kicked into overdrive in their hearts and minds. They clearly loved the Lord their God with all their hearts, all their souls, and all their minds. And they loved their neighbors as they loved themselves. This truly is rock-solid foundational living. They demonstrated Christ’s love to others as a matter of course. If you want to know how to be a solid citizen who follows Christ and who places your treasures in Heavenly Parkway Bank, live as these folks lived. They were not self-centered. They simply followed Christ. He changed their lives, and they did well; therefore, they were blessed with their eternal inheritance. What About The Old Goats? Then He will say to those on His left, “Depart from Me, you who are cursed, into the eternal fire prepared for the devil and his angels. For I was hungry and you gave Me nothing to eat, I was thirsty and you gave Me nothing to drink, I was a stranger and you did not invite Me in, I needed clothes and you did not clothe Me, I was sick and in prison and you did not look after Me.” They also will answer, “Lord, when did we see you hungry or thirsty or a stranger or needing clothes or sick or in prison, and did not help you?” He will reply, “Truly I tell you, whatever you did not do for one of the least of these, you did not do for Me.” Then they will go away to eternal punishment, but the righteous to eternal life. 1. I was hungry. You gave Me no food. 2. I was thirsty. You gave Me no drink. 3. I was a stranger. You did not invite Me in. 4. I needed clothes. You gave Me no clothes. 5. I was sick. You did not visit Me. 6. I was in prison. You did not visit Me. Jesus’s response was swift and to the point. “Whenever you did not do this unto the least of these, my brothers, you did not do it unto Me.” Then He pronounced the horrific judgment that follows when people live their lives playing in quicksand. They had trapped themselves. They experienced a painful eternal judgment. Rock-solid living in this quicksand world is founded upon the rock. Being secure in Christ allows us to be forgiven of every sin, and it puts us on a solid foundation when our journey comes to an end. I don’t know about you, but I want to follow the Good Shepherd of the sheep: Jesus. The benefits of doing so are out of this world.